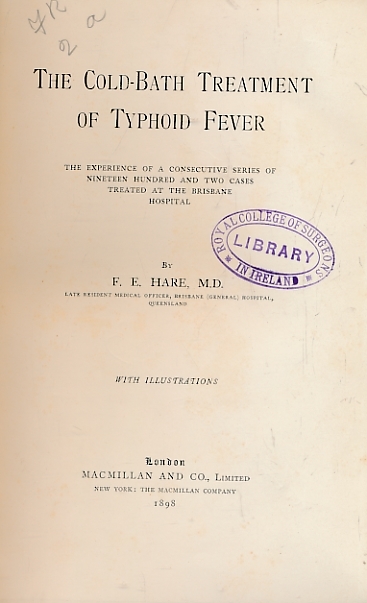 Barter Books : Hare, F E : The Cold-Bath Treatment of Typhoid Fever. The Experience of a Consecutive Series of Nineteen Hundred and Two Cases Treated at the Brisbane Hospital. 230 x 140 mm (9 x 6 inches) - xii, 196pp. G: in Good condition without dust jacket. Spine marked and faded. Ex Royal College of Surgeons Ireland Library.